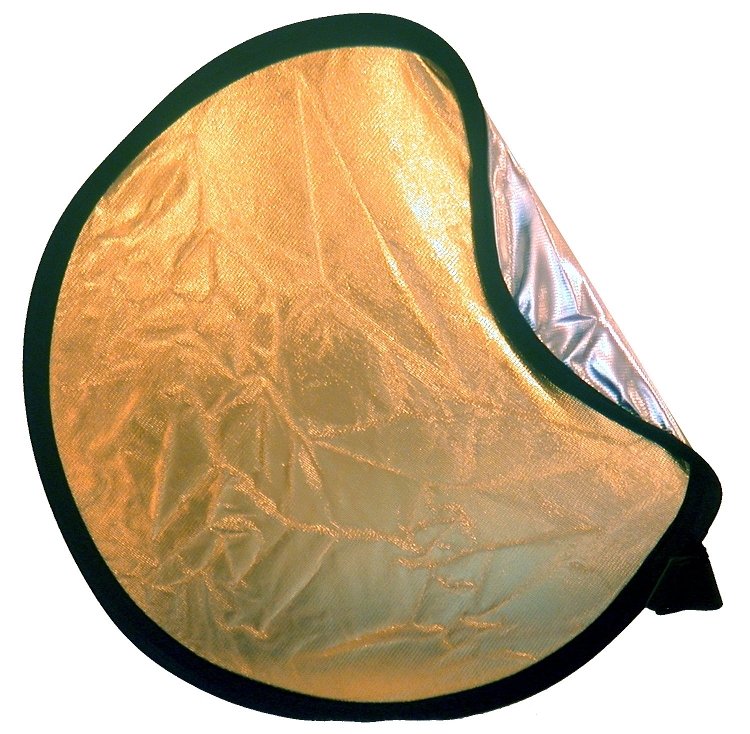 Choose from translucent, five double-sided combinations, as well as the 5-in-1 that comes with a transparent base and a 4-sided reversible slipcover for 5 available options, or the 7-in-1 that adds a chromakey green and chromakey blue to the combination. 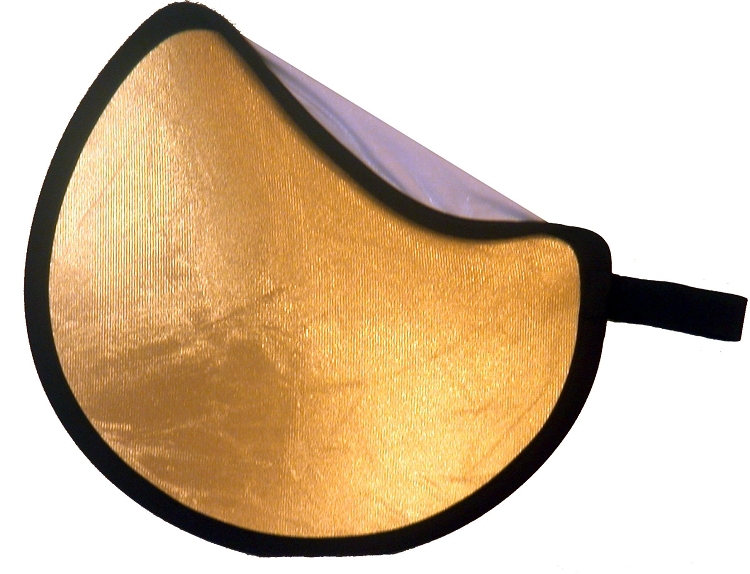 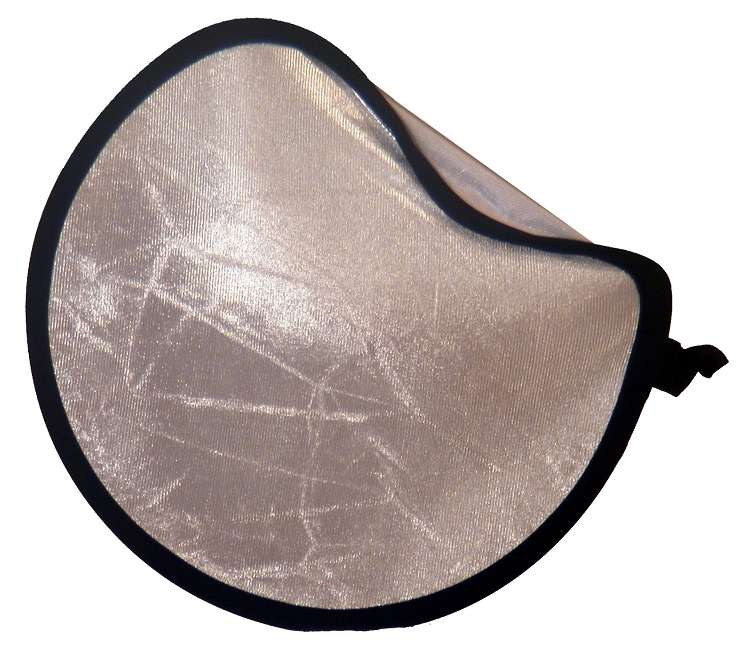 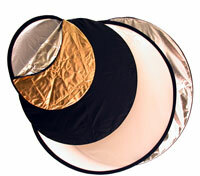 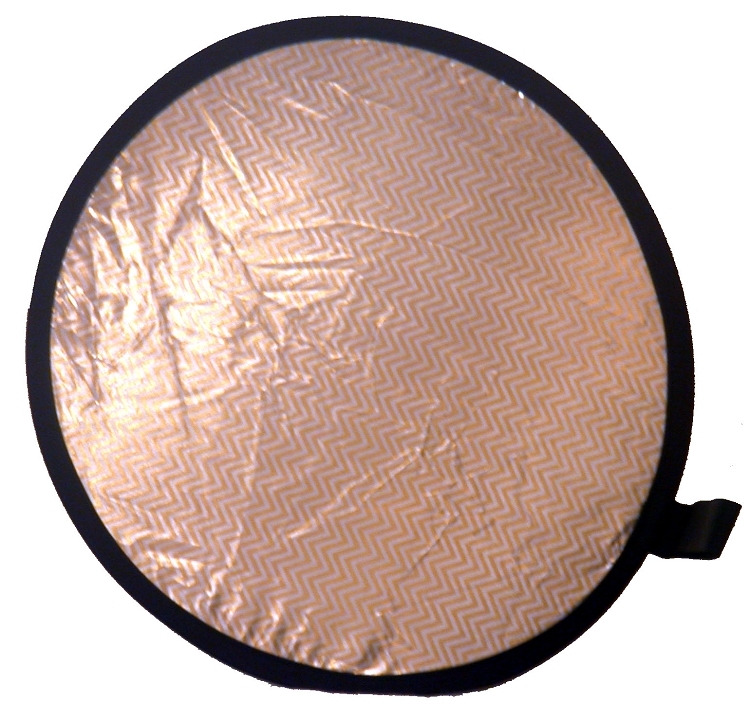 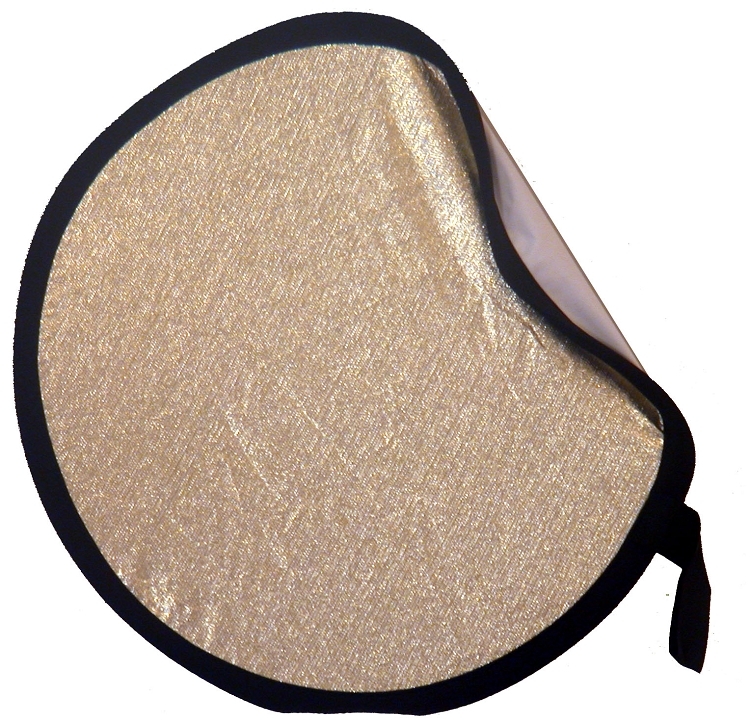 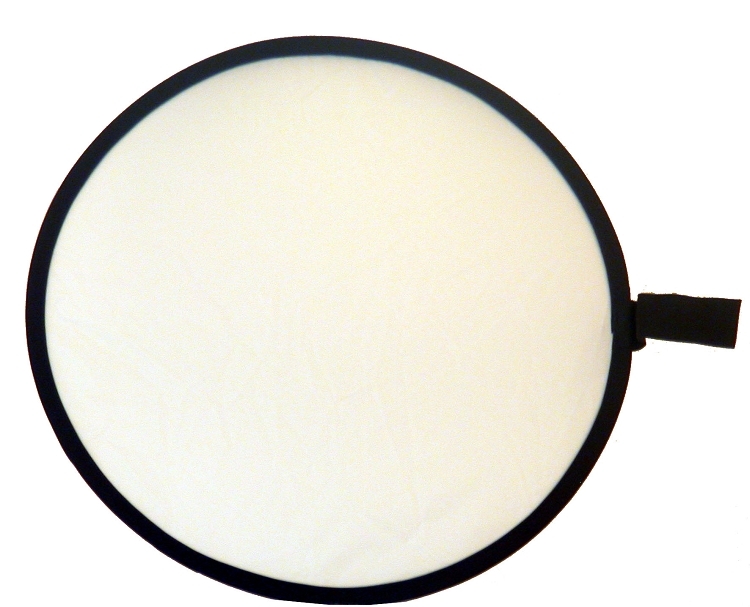 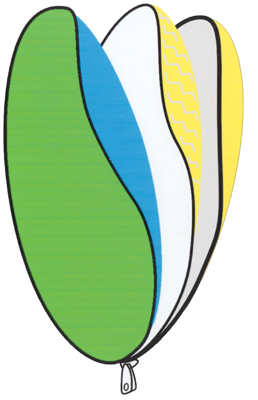 These light-weight reflectors have a flex-steel frame which folds down to 1/3" its size circle for easy transport and storage. 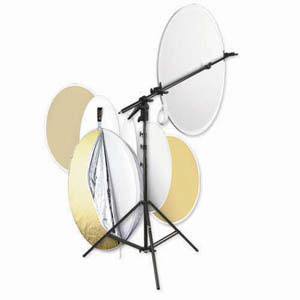 Great for studio and location work alike! 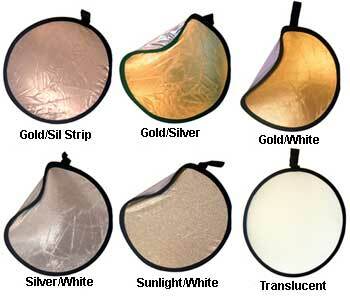 Includes free carry pouch.